Until now we've dealt mainly with search ads. While they are the best Google can offer and frequently they are your top source of traffic, sooner or later you will have to go beyond search ads. One of the options you have is Google's Display Network. For many marketers the traffic they get from Display ads is far worse from what they get from Search ads. You might be getting more traffic from Display ads but this traffic converts much worse, which is a pure loss of money. However, if you learn how to use Display ads to your advantage, they can do a lot for you. Tip: When you start a new campaign, it's best to turn the Display ads off. Start with Search ads only, see which of your keywords are performing, do some split tests to increase your CTR and only after that expand to display ads. If you mix Search and Display ads, this will lead to confusion. If you want, when you enable Display ads, turn Search ads off, so you can make a clear comparison of their performance. Display ads are turned on/off from the Networks and Devices option in the Settings tab of each campaign. To reach wider audience. Since Display ads run on third party sites, you get access to their audience. If the sites are relevant (and Google tries to ensure they usually are), you reach audience you target. You can use images, too. Text ads are great but for many products/services an image ad is a better option � you don't have limits on your character count and you can show your product/service. Quality Score matters less. Of course, you must always try to keep your Quality Score high but if you can't do it, with Display ads the penalty is less severe. You can bid lower. When you have Display ads enabled, you can have a separate bid amount for them, which means you bid lower than what you bid on Search ads. 1. Create separate campaigns and ad groups for your Display ads. First, in order to make it more manageable and to get more precise results that don't get mixed with Search data, you might want to create separate campaigns for Display ads only. For instance, if you have a Cosmetics campaign for Search ads, you can create a new campaign � Cosmetics Display for Display ads only. 2. Use themes. When Google makes the decision where to display your ads, it takes into account many factors, such as your keyword, your ad, and your landing page. Based on this, it derives a "theme" and finds pages that match your theme. If you want a visual idea of what a theme for Google is, go to google.com, search for something, scroll down to the bottom of the page and you will see Searches Related to list. This list contains themes similar to your search. If you've searched for your keywords, you can pick suitable suggestions directly and create separate ad groups for each of them. Then, in each ad group, create two ads you will split test as a start. Don't add more keywords to the ad group � leave only the keyword you picked from Searches Related to because this way it is easier for Google to match your theme to suitable sites. Monitor how your ad groups are performing and remove the ones that don't convert. Also, you need to remove bad placements - you will shortly learn what this is and how to do it. 3. Master managed placements. Out of the three ways to target your audience (via keywords, via managed placements, and via topic), managed placements are the most direct. 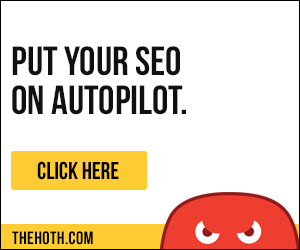 With them, you give Google a list of URLs where you want your ad to appear. Then if your bid is high enough, your ads are displayed on the sites you have chosen. Managed placements are accessible from the Display Network section of the Networks tab for the ad group. When you open Automatic Placements section, you will see a list of the sites where your ads have appeared. If some of these sites are not doing well (i.e. they are bad placements) remove them before they drain your money. You can use manual or automatic managed placements. For the most up-to-date information on how to set them, check this article from Google. After you have set your managed placements, the next step is to see which of them are working. Start with split tests and use the Peel & Stick strategy but apply it to URLs, not keywords. You have the freedom to target various domains, including separate pages of these domains, so the field for exploration and tuning is vast. 4. Hope for the Jet Stream. When Google tries to match your ad, it starts with the closest themes. For instance, if you advertise natural cosmetics, the first type of sites Google will try are natural cosmetics sites. If this works, they will keep showing your ads on natural cosmetic sites and will expand to let's say cosmetic sites. If you are still getting clicks on cosmetics and natural cosmetics sites, Google might expand your ad to let's say women sites. If this still works, Google might decide your ad has a universal appeal and show it on all kinds of sites. When this happens, you've reached the so-called Jet Stream � your ad is shown everywhere on the Net and you get thousands of clicks a day. This is heaven! However, be warned that a very few ads manage to become that successful, so don't get depressed if none of yours reaches the Jet Stream. 5. Take advantage of topics. As we mentioned earlier in this chapter, keywords, managed placements, and topics are the three ways to target your audience. Topics might look the easiest but in fact they are pretty hard for beginners. As the name implies, you browse through a list of topics and subtopics and pick the ones you think are appropriate. The problem here is that topics are usually too broad and because of this your conversions could be very low. Check this article about how to setup topics. Display ads are usually harder for beginners, so you might want to use caution till you master them. However, their potential is so good that there is no excuse not to try them.